The inspiration for this line of fabric came from my Bird in Hand quilt that I made years ago. 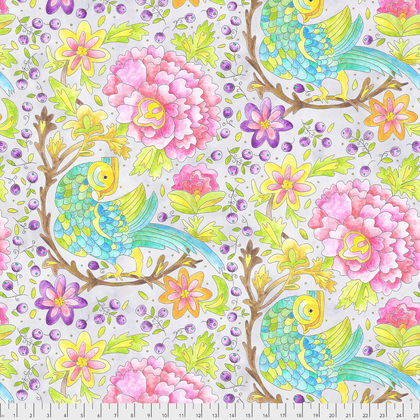 I designed the fabrics to create a collage quilt that will feature the bird in a new way! A fun new way to mix colors and collage motifs. "She engaged in flights of fancy creating colors she loved, held on to them and did not risk losing them for something better!"